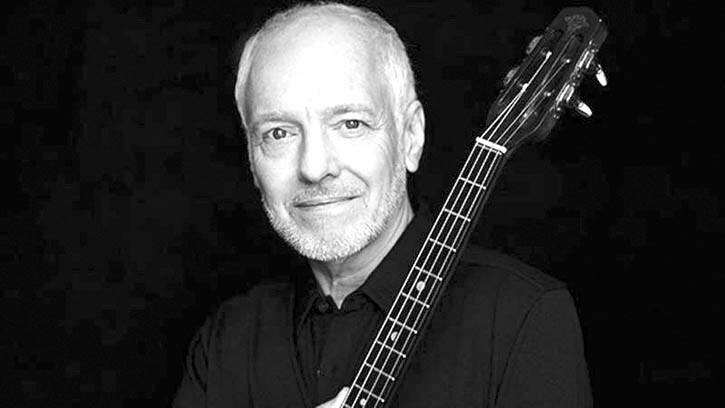 Wednesday, April 12, 7:30 p.m.—RUTLAND—The Paramount Theatre is proud to welcome Grammy-award winner Peter Frampton with his Raw Acoustic Tour to its historic 830-seat historic hall in downtown Rutland. Frampton will perform Wednesday, April 12, 7:30 p.m. Julian Frampton, Peter’s son, will open the show. Peter Frampton remains one of the most celebrated artists in rock ‘n’ roll history. At age 16, he was lead singer and guitarist for the British pop-rock group The Herd, and two years later, he co-founded one of the first super groups, seminal rock act Humble Pie. In his extensive music career spanning five decades, he has collaborated with such legendary artists as George Harrison, Harry Nilsson, David Bowie, Jerry Lee Lewis, Ringo Starr, and John Entwistle, among many others. His fifth solo album, “Frampton Comes Alive!,” was released 40 years ago and remains one of the top-selling live records to this day. Frampton continues to tour the nation with his in-demand shows, Frampton’s Guitar Circus and Peter Frampton Raw, An Acoustic Tour. Tickets ($46, $76, $86 and $110) are available at the box office located at 30 Center Street. Patrons may also charge-by-phone via the venue box office at 802-775-0903 or online at paramountvt.org.